I haven't really taken step-by-step photos of any of my recipes, but happened to have this one below of cooking the onions, bell peppers and celery until they are just starting to turn brown. 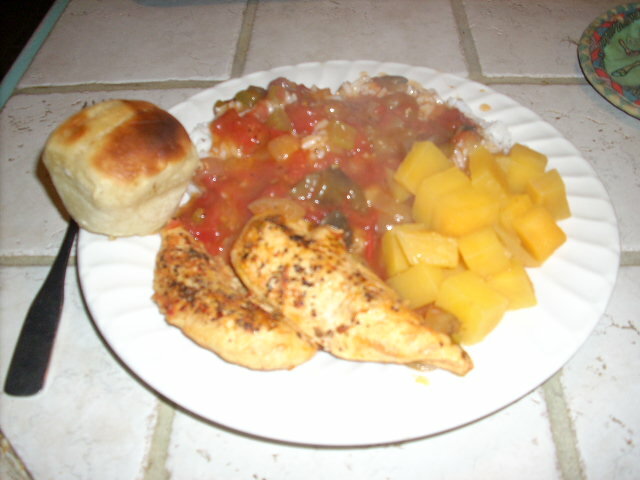 Chicken Cacciatore, served over rice, with rutabagas and rolls. 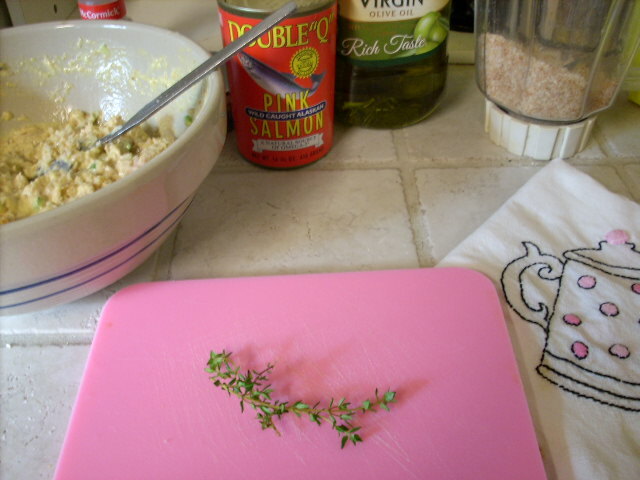 I am regrouping this page, new design so bear with me, and if you need one of the recipes that was here, just write and ask. New ones will be added in the left column. I tweaked a recipe I found for Maryland Crabcakes a few years ago, and started making these…my family loves them! Mix everything well in a medium size bowl. Heat oils. 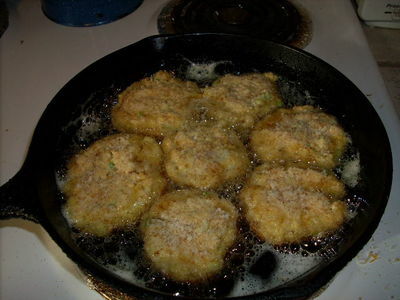 Make patties to desired size, dredge in bread crumbs, place carefully in hot oil, fry until bottoms are golden brown before turning so they won’t fall apart. Turn, fry until golden brown. Take out, place on paper towels for draining. Makes about a dozen patties. Only four are pictured, and you’re lucky I got a pic of them, before they were eaten! Preheat oven to 450 degrees. Oil pan. Mix dough according to directions; place dough in prepared 8 X 12 baking pan, pat down evenly, spread sauce on dough; sprinkle cheese(s) and then place toppings on top. I chose a marinara sauce, mini pepperoni's, Fiesta blend shredded cheese, and sliced black olives. Work in progress...More to come!